Image Tube Summary: A Standard Generation 2 image tube is a gigantic step up from a Gen 1+. It's like a motorcycle being compared to a bicycle! First off there is no Gen 1 image distortion so your field of view is increased by 35 to 40 percent. Secondly the tube life is typically 3 times longer with the Gen 2. 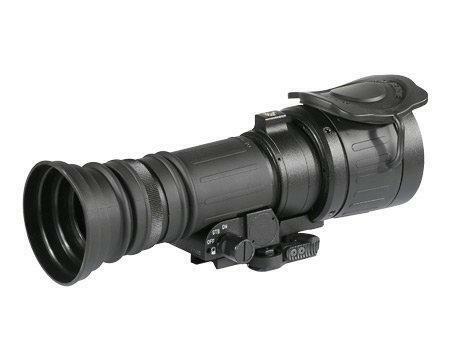 Third, although Infrared Illuminators are usually very helpful this Gen 2 device does not need Infrared Illumination to work thus allowing a user to operate passively/undetected by other night vision as well as animals. This is the level where real night vision begins. 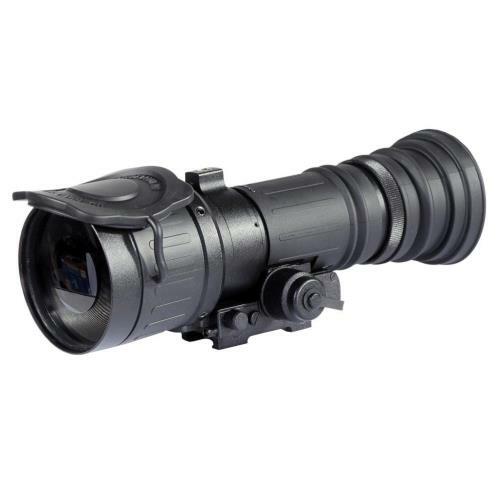 Representing the latest advancement in Night Vision Optics, the ATN PS40-2 gives your daytime Multipurpose Viewer Night Vision capability in a matter of seconds. TheATN PS40-2 mounts in front of a daytime Multipurpose Viewer to enable nighttime operation. No shift of impact, no need to rezero nor change of eye relief occurs. The ATN PS40-2 uses the latest in image intensifier tube technology for outstanding resolution and performance. 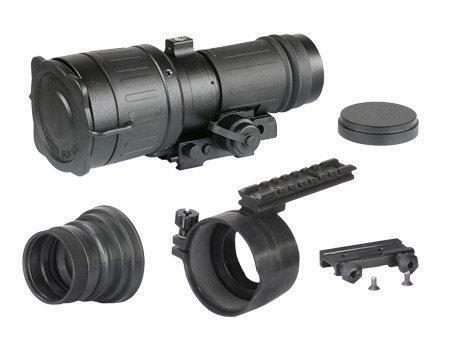 Precision optical alignment is essential for a front sight system to work properly. This is why each ATN PS40-2 is individually tested and aligned on an optical scale by our engineers to provide perfect alignment. The ATN PS40-2 is one of the most compact and lightweight NV systems in its class, at only 840 grams.